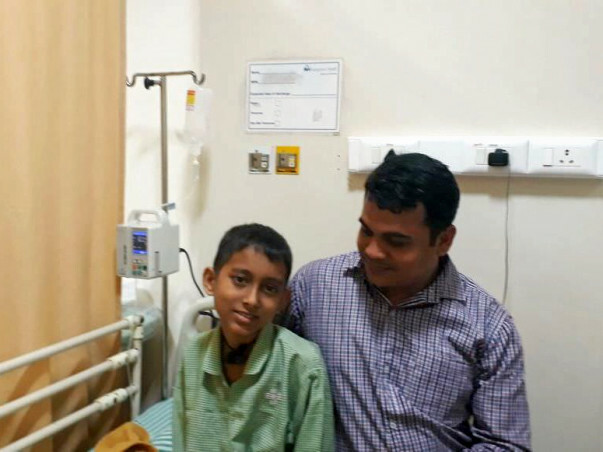 For the last five months 10-year-old Mohammed Ataur, son of Sadim Uddin and Hasina, is fighting a severe blood disorder called Lymphoblastic Leukemia. lymphocytic leukemia (ALL), also called acute lymphoblastic leukemia, is a cancer that starts from the early version of white blood cells called lymphocytes in the bone marrow (the soft inner part of the bones, where new blood cells are made). Leukemia cells usually invade the blood fairly quickly. They can then spread to other parts of the body, including the lymph nodes, liver, spleen, central nervous system if not treated on an urgent basis. The only treatment left for Mohammed is to undergo chemotherapy followed by a bone marrow transplant. The total cost for the chemotherapy and the bone marrow transplant is around 32 lakh Rs. 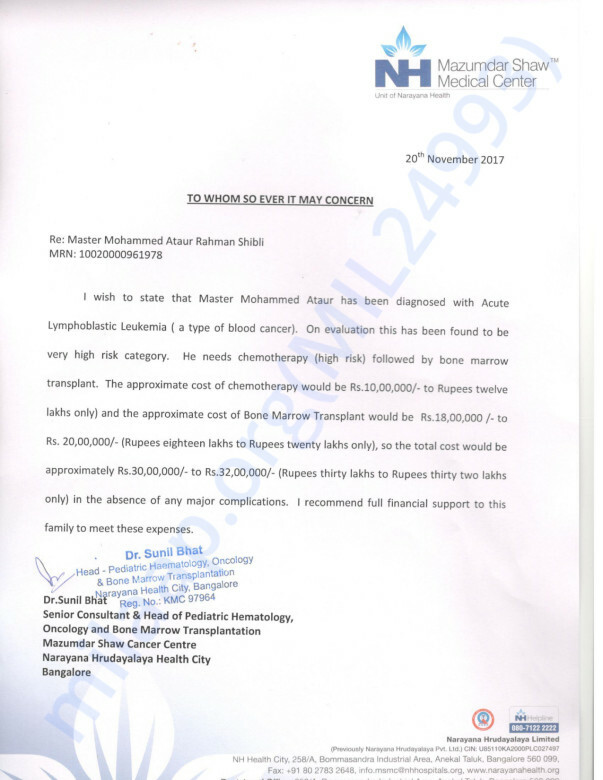 This is too high an amount for Sadim to afford and he is worried that he will lose his son if he does not give him the treatment he deserves. Your contribution can help Sadim get the treatment he deserves. I am contributing whatever I can, I hope this small donation would make a diffrence. May god bless him. InshaAllah.. you'll get well soon.